Materials: Minky, wire, clay sculpted nose, embroidery thread, ribbon, magnets. 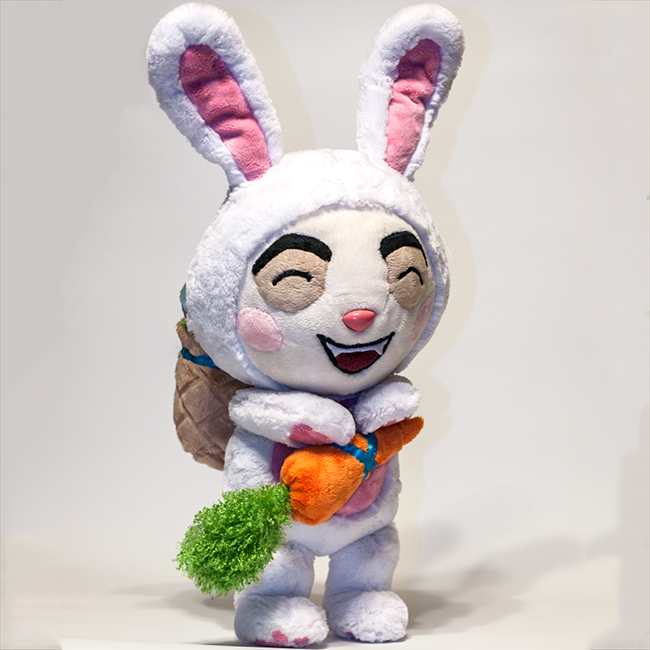 A plushie of Teemo the Swift Yordle Scout from League of Legends, in his cute "Cottontail" bunny outfit. The plushie is made from minky for a soft, cuddly touch and bubbly look. Filled with high quality stuffing, and a light wire and fleece armature inside his ears, and bean pellets in his feet and rump. His nose is hand sculpted from polymer clay, and sealed with a polycrylic topcoat for shine and protection. His eyes and mouth are embroidered. His carrot accessory sits around his neck, and his basket accessory can be optionally removed via magnets). 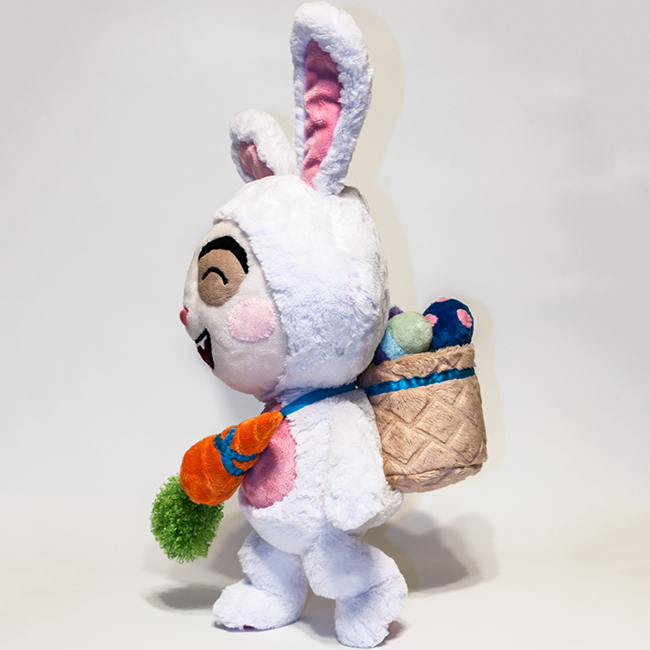 All of the stripes and spots of the eggs were meticulously sewn together, and have magnets inside to sit in the basket or be removed. 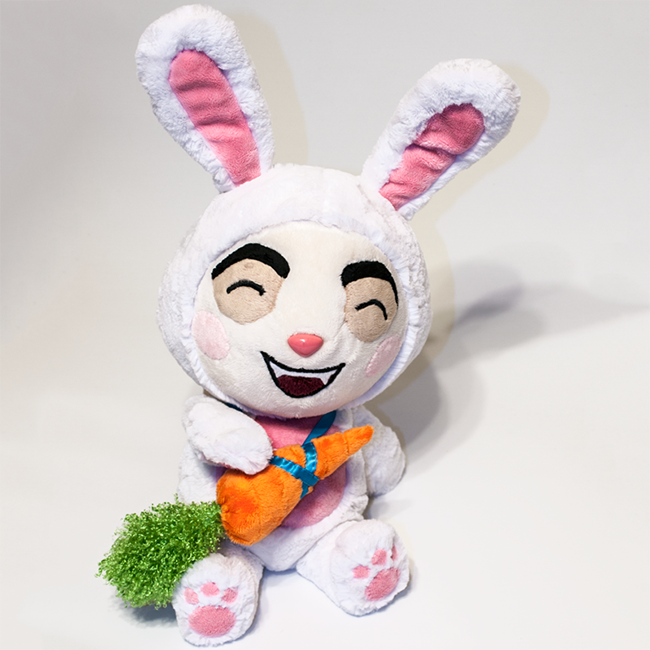 If you are interested in only teemo without the basket and/or carrot accessory, just let me know your preference! Note: Teemo was designed to be floppy and cuddly; his legs cannot actually support his weight to stand as some pictures depict, and he is designed for sitting. 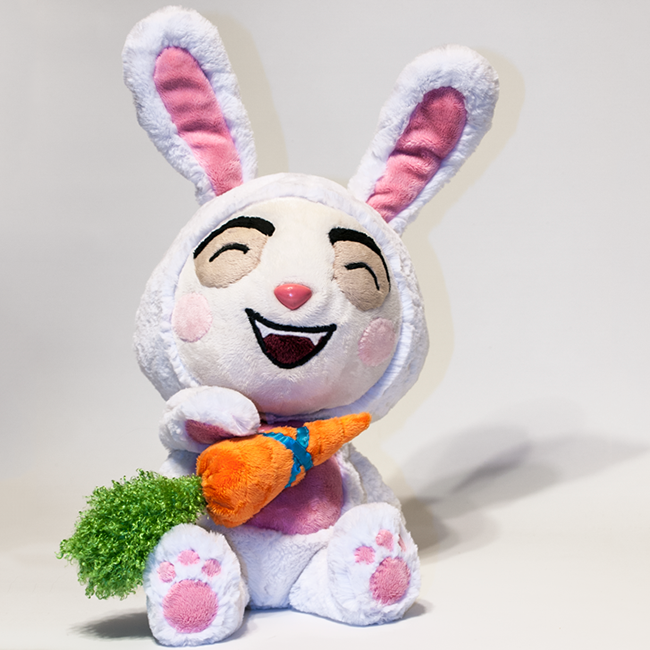 Note on availability: Since the creation of my Cottontail Teemo plushie, Riot has made an official Cottontail Teemo plushie that they sell in their online merch store. 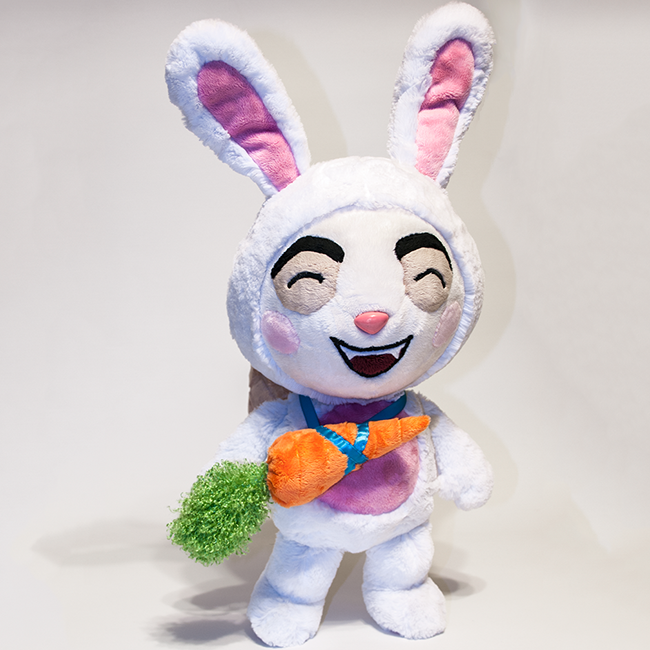 While there are many subtle differences between their mass produced version and my handmade version, I am not trying to compete with Riot, so I have discontinued making this plushie as long as the official one is available. 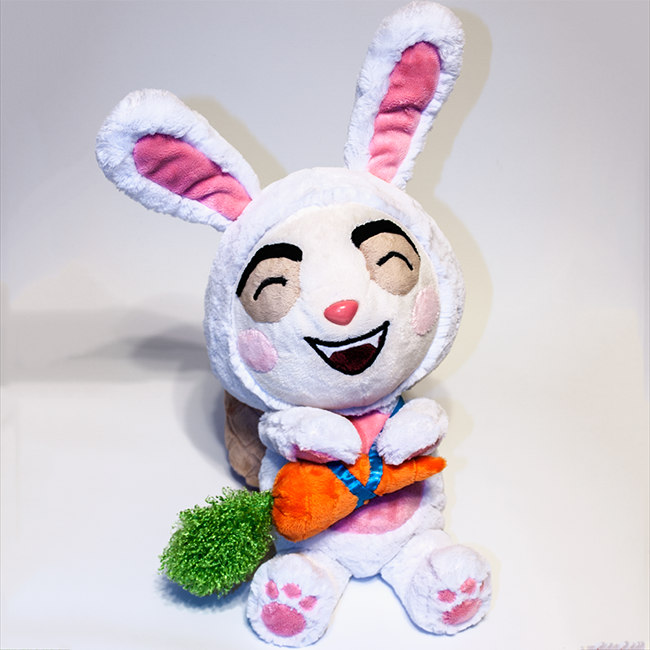 Although if Riot discontinues their plushie, I may be willing to make another. Thanks for understanding!